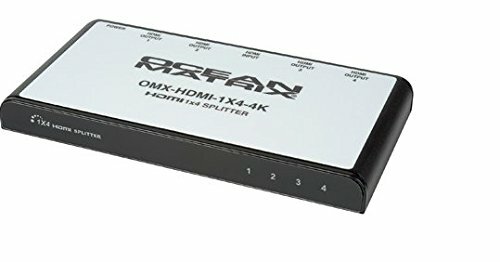 A compact 1x4 HDMI distribution amplifier (HDMI Splitter) splits a single HDMI signal from cameras, STB, DVD or Blu-ray to four (4) HDMI displays, projectors and other HDMI enabled devices simultaneously. Distributes signal without loss while maintaining resolutions up to 4K. If you have any questions about this product by Ocean Matrix, contact us by completing and submitting the form below. If you are looking for a specif part number, please include it with your message.